Eddie Hearn says Anthony Joshua is far from intimidated by Deontay Wilder and Tyson Fury, having watched their title fight on Saturday night. 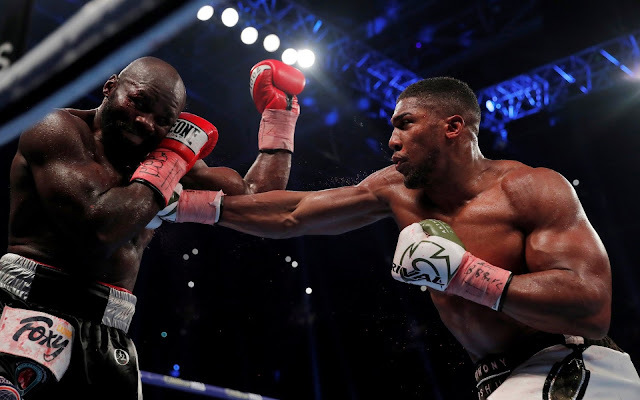 The unified heavyweight world champion’s two main rivals clashed in a sensational bout which most believed the Brit had won, however it was scored a split draw by the three judges in Los Angles. Now, Matchroom’s Hearn has told the Mail how AJ reacted to the bout. “I have spoken to Joshua since Saturday and his position is unchanged – he believes he will stop anyone put in front of him,” detailed the promoter. Regarding his own personal opinion, he added: “I was very impressed with Fury on Saturday. I had him winning the fight by two rounds. When asked about how Deontay Wilder and Tyson Fury’s draw affects Anthony Joshua’s future going forwards, Eddie Hearn analysed the result’s consequences from various perspectives. He first stated that everything of course depends on the terms of any potential rematch clause in the contract, but added that the emergence of two marquee heavyweights should be a positive thing for AJ. “If anything, the way that fight went on Saturday works in our favour in terms of getting Wilder. “That has always been the fight we want because he has the last belt. “Now, let’s say he had beat Fury in two rounds – the negotiation will be a lot harder than after a draw where many think he was lucky to keep his WBC title. That goes in our favour.